Janice believes deeply in the healing power of massage to relax and integrate the body, mind and spirit, to support optimal performance and enhance well-being. Her intuitive approach and skilled touch is a mixture of deep tissue massage with relaxing Swedish Massage, leaving you and your body deeply relaxed and more joyful. 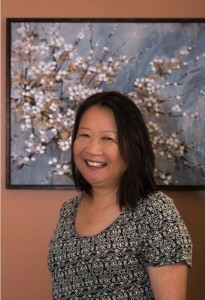 Janice has been a licensed massage therapist for more than 30 years and has previously served on the Washington State Licensing Board for Massage. Healing From the Body Level Up (HBLU). Janice earned her degree in Applied Behavioral Science from Bastyr University. She has also been certified as a counselor in the State of Washington. She has taught Compassionate Communication skills in the community as well as in Washington State prisons since 1998. Steve has been practicing massage since 1988. He received his training from Brian Utting School of Massage and Muscular Therapy Institute of Boston (Ben Benjamin). He discovered massage at a training seminar, which brought about a divergence from illness medicine to a natural wellness medical model. Over the years he has explored many massage modalities with much continuing education and pulls them out as needed from his big toolbox of skills. Some of these techniques include deep tissue, clinical assessment and treatment, specific work for auto and work injury, sports massage, and Reiki. Steve teaches hands on techniques at Ananda Massage Training, a multi-cultural massage school in Mountlake Terrace, WA. 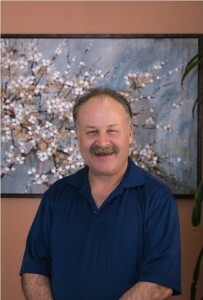 He has been a member of the WA Sports Massage Team since 1989 and has provided sports massage at the Goodwill Games, the US Open Golf Championship Chambers Bay, and the Seattle Marathon. Our dedicated team is waiting to serve you. Get in touch with North Star Chiropractic Center today to schedule your appointment.